You want to announce the world that you're just too confused to talk with. Then let them know it. 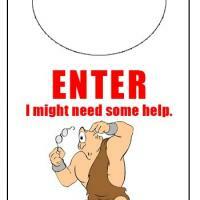 Print and hang this confused mood door knob hanger on your door.